Breaking news from CNN about the police storming of a cafe in Sydney to end a hostage crisis. 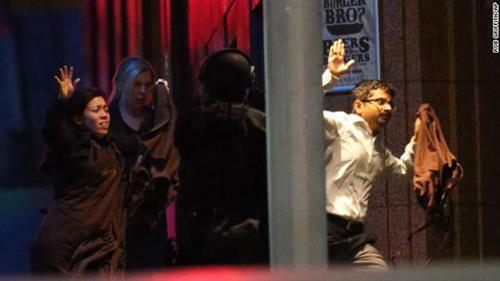 Police stormed a cafe to end a siege where a gunman had been holding hostages, in Sydney, Australia. Follow this blog for updates, and watch live on TV or through CNN go. New South Wales Police are expected to give a news conference shortly to provide additional details on the end of the siege. You can watch live on CNNgo. Who is Man Haron Monis? Also known as Sheikh Haron, the self-styled Muslim cleric is an Iranian refugee. Read CNN's profile of the hostage-taker here. A 52 year old female is being treated by the Prince of Wales Public Hospital, a hospital spokeswoman tells CNN. The patient is in stable condition and the hospital cannot elaborate any other details. A national security source in the United States tells CNN the hostage taker was shot & killed. There were at least nine people inside the building at the time. The source says, the gunman was wearing a thick black vest and law enforcement was concerned it could contain explosives. An Explosives Ordinance team cleared the building and checked the gunman for possible devices. No report as to whether anything was found. CNNA major police operation was under way Monday morning in Sydney. CNN affiliate Seven Network reported that officers were responding to a hostage situation at the Lindt Chocolate Cafe. No officers were injured during hostage situation police tell 7News. Anti-Muslim sentiment flared as chilling images from Australian media showed people, believed to be hostages, with their hands pressed against the glass of the Lindt Chocolate Cafe in Sydney's central business district. 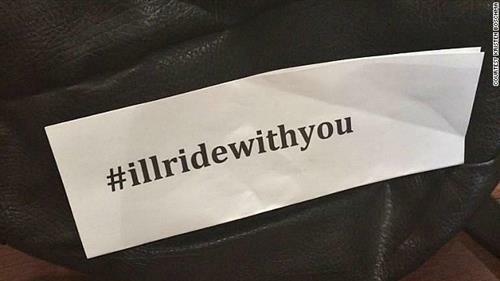 Soon after, the hashtag #Illridewithyou took off as Australians offered support to their Muslim friends and neighbors. 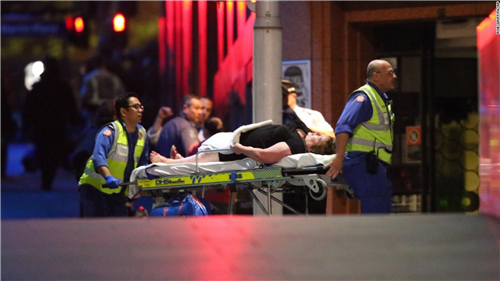 CNNA social media campaign condemning Islamophobia under the hashtag #illridewithyou takes off after a gunman takes hostages in Sydney. What's happened to the gunman? Man Haron Monis may be among the dead, Australia's 7News reports. Former FBI Agent Foria Younis discussesMan Haron Monis' lengthy criminal record. Two people are dead and three are in serious condition, Australian broadcaster ABC reported. We do not know yet what's happened to the gunman. The siege is over, police say in a tweet. 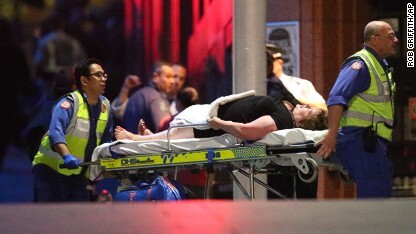 Seven people were taken out of the Sydney cafe on stretchers, and five of them appeared to be receiving treatment immediately, Australian state broadcaster ABC reported. It's unclear whether the hostage taker or any police were among the seven. At one point while police were trying to end the crisis, ABC journalists heard police say "hostage down." 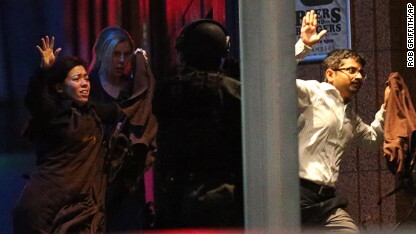 More hostages flee the cafe, where they were held for more than 16 hours. Australian state broadcaster ABC reports: "A number of people have been hit." Its reporter added the siege seems to be over. "Certainly it's ended," an ABC journalist said. This photo from The Associated Press shows people running from the cafe toward armed police this morning.